This is something I really want to see as I've heard about the film a lot as some said it also features references to Syd Barrett who also succumbed to mental illness and eventually became a recluse until his death in 2006. It's definitely worth checking out. I think it's inspired by a lot of sources, including Daniel Johnston. 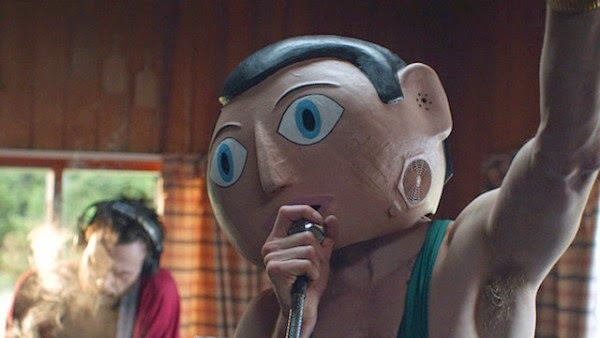 I thought the theme of selling out or being true to your vision was handled in a more interesting way in Begin Again, but Frank did have a few fun songs, and the voice-over kept me invested in the story. I Love You All” is indeed an incredible song. 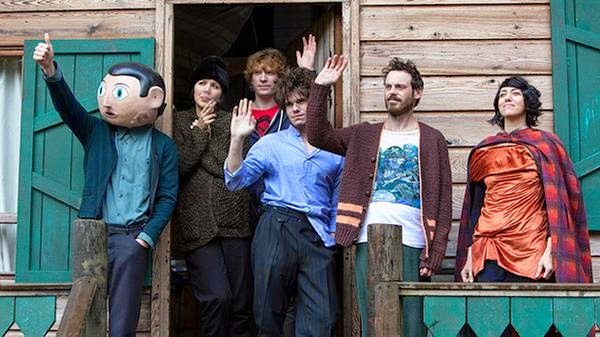 Chris, I did enjoy Begin Again more than Frank yet still found things to like in this movie. I think the ending song lifts the movie into a different realm. 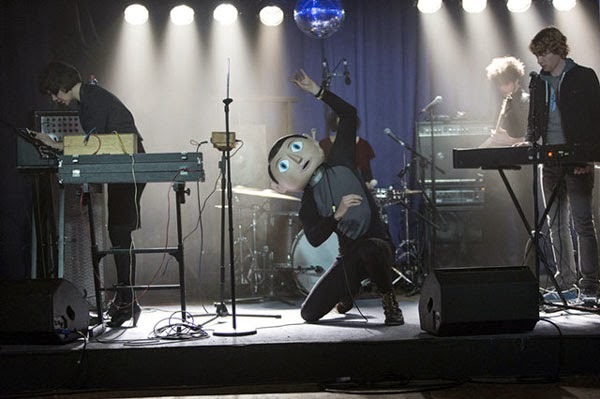 Seeing the actual Frank performing without the head is just perfect. You're right that it doesn't work as well in selling the "artist vs. commerce" story, but there's something there.